The Flagship of the fleet. 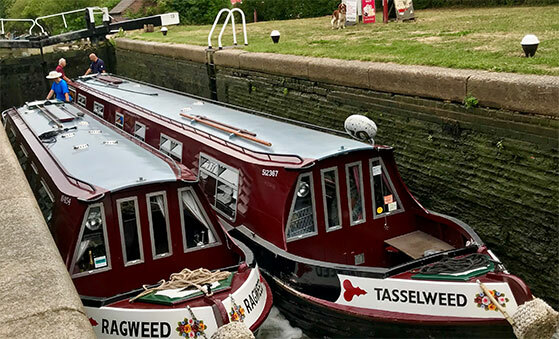 Tasselweed is one of the highest specification self drive Narrowboats operating on the UK canal system, every conceivable luxury has been built in for your convenience. 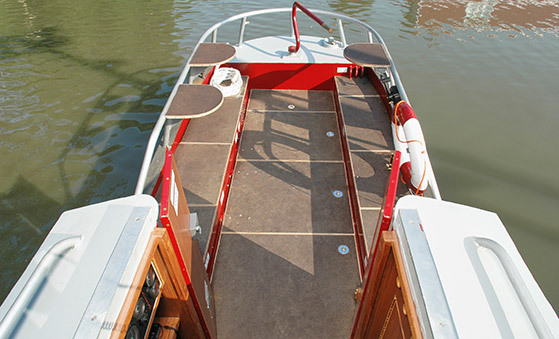 She is the result of years of feedback from our customers here at the boatyard in Weedon. 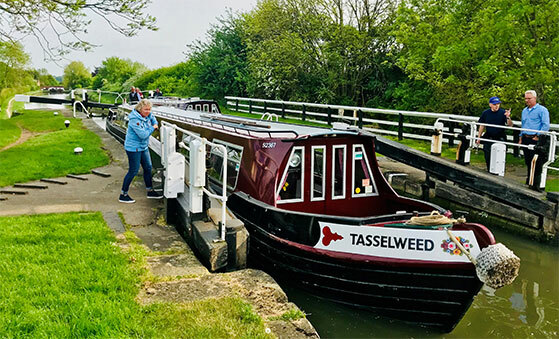 Tasselweed is a 6 berth canal boat with a flexible layout to suit your crew, up to 3 double berths in 3 cabins, alternatively the aft two cabins can be changed into single berths to suit your crews' requirements. 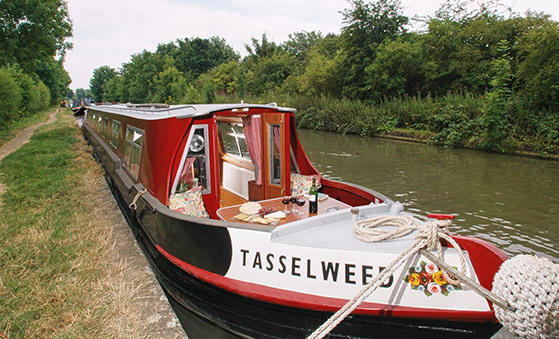 The galley is equipped with a full size cooker and four burner hob, electric fridge/freezer, microwave oven, coffee maker, toaster and electric dishwasher. Everything practical to make your holiday as enjoyable and comfortable as possible has been built in. Flat screen TV/DVD player, radio and CD player. Bedding and towels are provided along with a hairdryer.